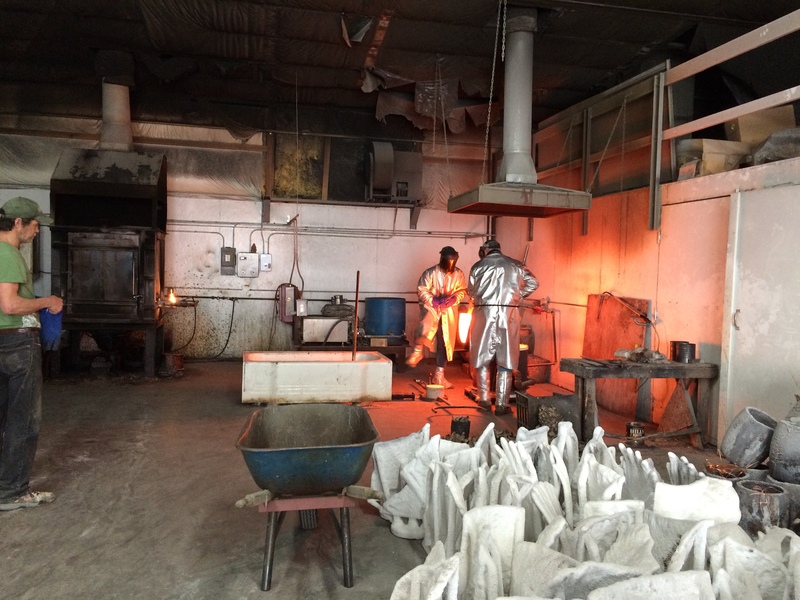 There is a wonderful bronze foundry in our town and today we got a tour. Moving the crucible with hot metal ready to pour into the molds. The Molds are pre-heated so they won’t crack. They are placed ready to be filled. 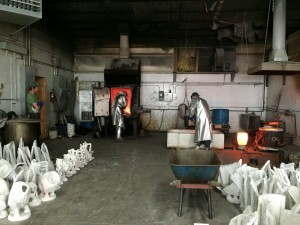 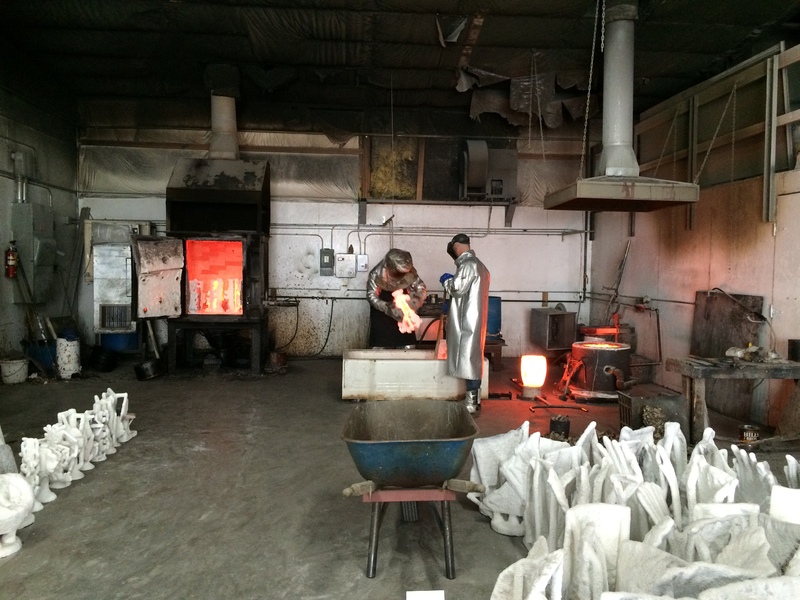 The molten metal is poured into the molds forming the casting.